Rina's Rainbow: Where Does our Used Water Go? First, it would be wise to understand how the urban water cycle goes. The water from the bodies of water like the sea evaporates into the sky, condenses into the clouds, and becomes rain; the dams catch the rain. Water from the dam goes through water treatment, is gathered by the reservoir, and is distributed to households and buildings for us to use. 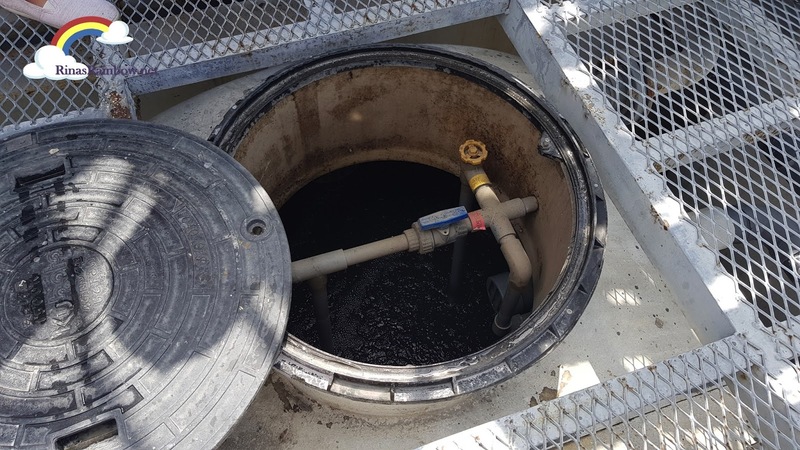 When we use the water for cleaning and stuff, it becomes wastewater and goes down the drain, into our septic tanks. 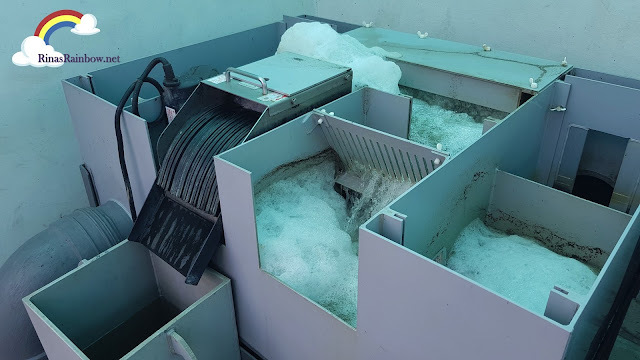 And here’s when the wastewater treatment begins. 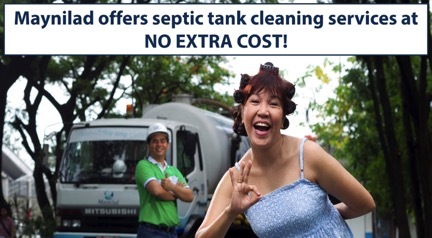 When septic tanks are desludged by Maynilad, (Maynilad does this service at no extra cost! 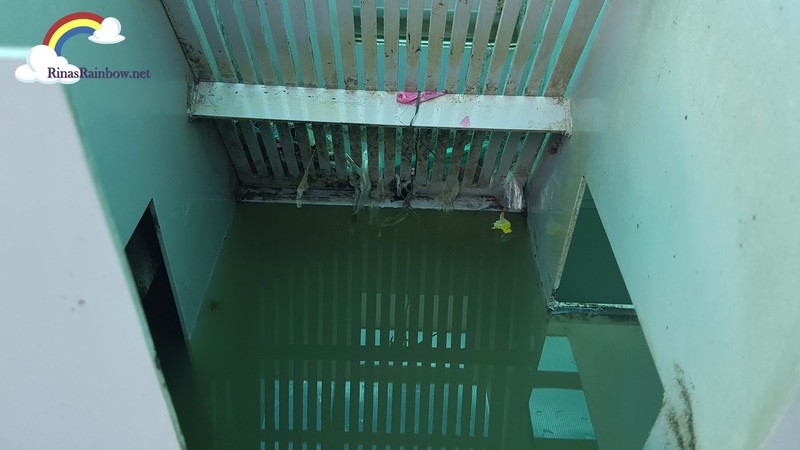 More details later on), it is taken to one of their Wastewater Treatment Plants for cleaning. When we were there at the treatment center, we climbed up the tanks to see the step-by-step treatment process undergone by the wastewater. It was surprising that it wasn’t as smelly as I thought it would be. Here’s a peek at the different treatment stages. As you can see the water is dirty and dark. So anyway, from that murky color…. To this! 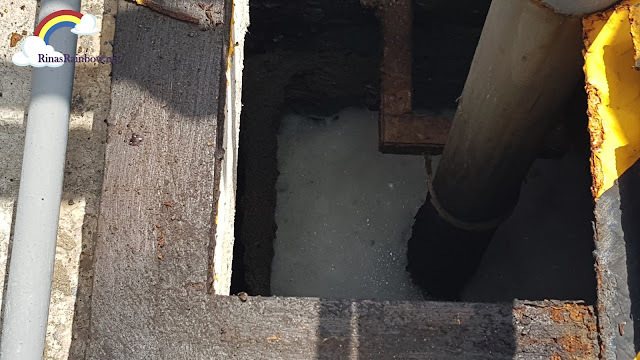 We watched as one of the workers scooped up this treated wastewater from one of the tanks. See how clear it is compared to when it first came in? It’s like magic! 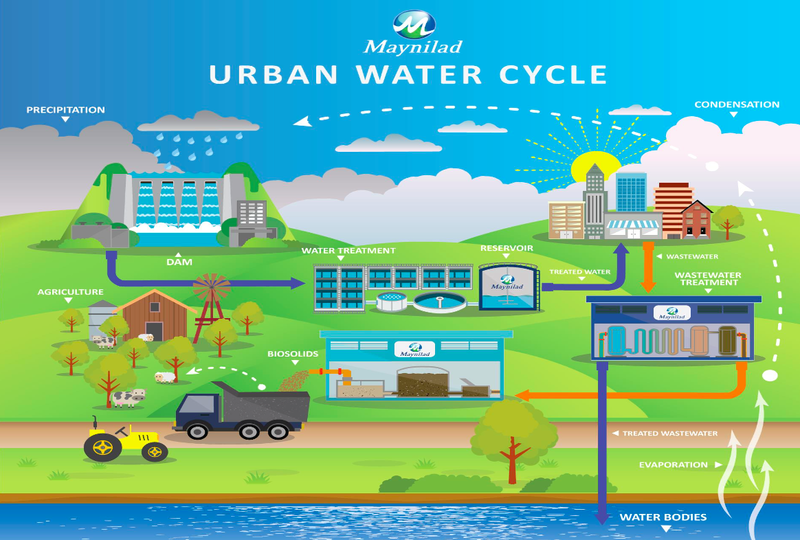 So the clean, treated wastewater goes back to the nearest water bodies, and thus begins another urban water cycle. 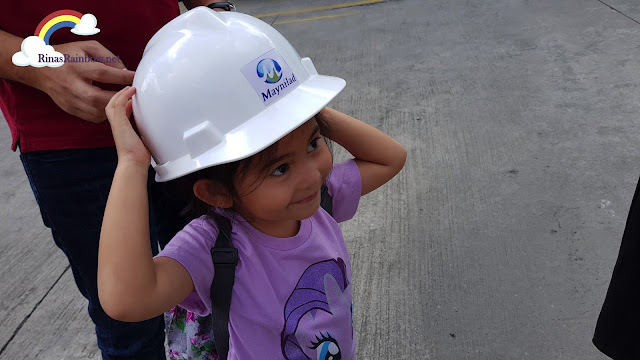 While the wastes per se (you know, the number 2s), are taken to another Maynilad plant to be converted into biosolids / fertilizers for agricultural use. Why do we need to treat wastewater? 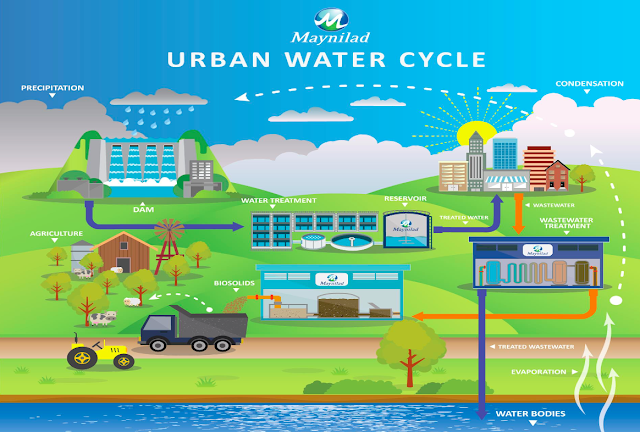 According to a study by University of the Philippines, Maynilad customers consume about 35 gallons a day per person. Eighty percent (80%) of that becomes wastewater. Imagine all of that going back into different bodies of water, or contaminating our groundwater. Just imagine all the sickness we can get when wastewater comes back to us untreated. From diarrhea, hepatitis, leptospirosis, among others. Not to mention how bad it will be for the environment. 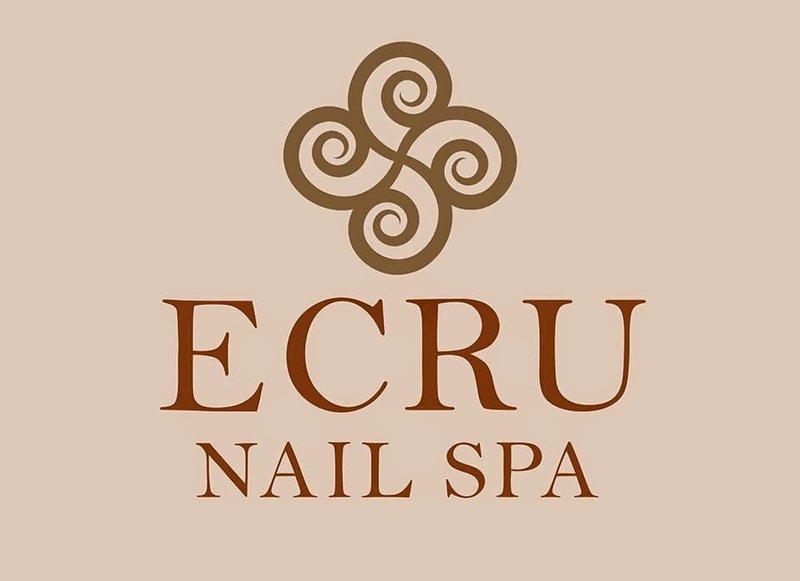 With these services, they’ve helped my mind become at peace knowing that the dirty water we produce everyday is not just being thrown back directly to mother earth. 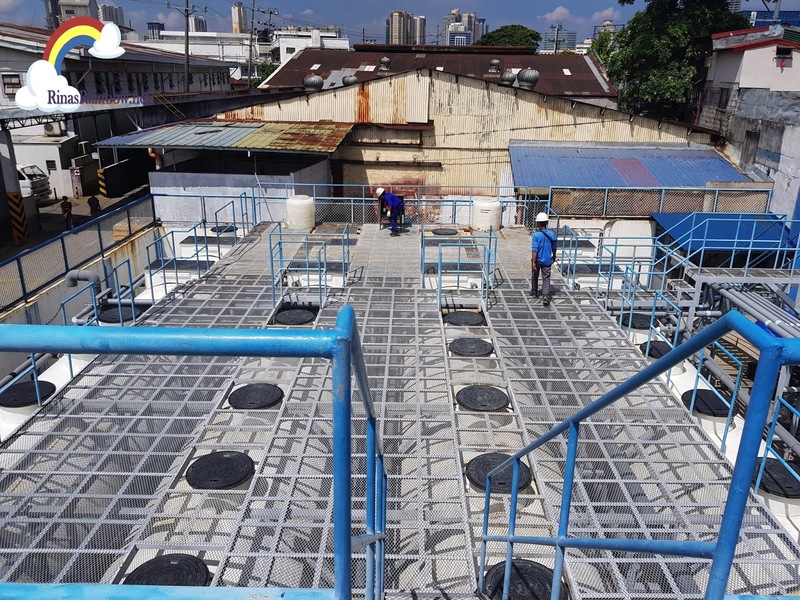 Aside from making its way back to the urban water cycle, the wastewater can also help save clean water. 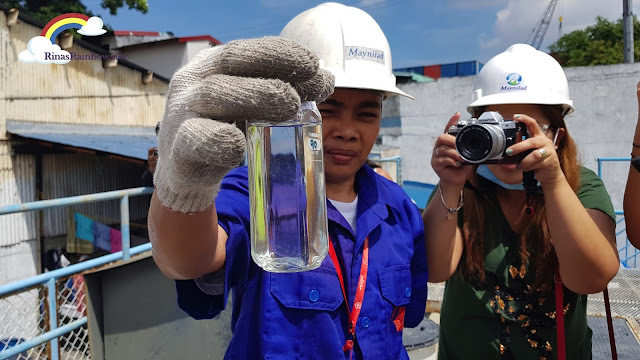 For instance, some fire stations or barangays get treated wastewater from Maynilad and use it to clean their streets, instead of using clean water. Can you just imagine how much clean water is saved when wastewater is used for these tasks? On our part, of course, we also need to make some effort in terms of wastewater management. So what can we do? For one, stop throwing trash in the toilet. Like used napkins, a bunch of tissue paper at a time, or anything solid that may clog the toilet. Clogging the toilet will result to overflowing of your toilet (eeeeew) that can result to sickness due to exposure to wastewater; or clog the sewage pipes that can result to bursting of pipes under the ground; and not to mention the expenses needed for damage control. Take for example Estero de Santibañez. The tributary here before was filled with trash. 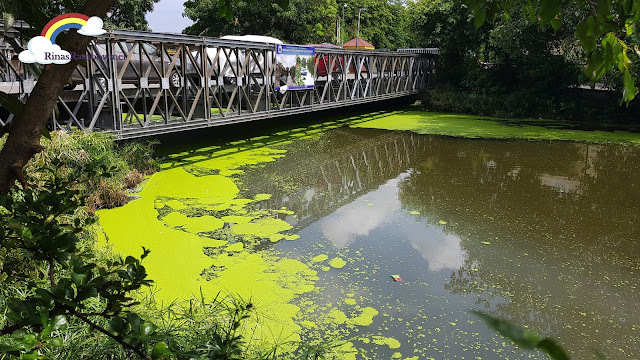 But because of the great teamwork of the people living around it, they all took it upon themselves to help clean the river, and to keep it clean. Now, they can actually fish for food here! It’s amazing! Other people actually come here to fish. This cleaning movement was started and is still being implemented by River Warriors in the community. Though there are a lot of stuff outside their houses, I did not see any trash lying around. Not a candy wrapper in sight. It’s really amazing! Another thing we can do to help, especially for sewered areas, is to ask Maynilad how you can connect to their sewer lines to ensure that your wastes are properly discharged. Hopefully this post will help spread awareness to different households so that we can be more conscious about how we can help in wastewater management. Responsible water use and proper trash disposal is key for the good of our kids and for the whole family! Oh, and I didn’t forget! 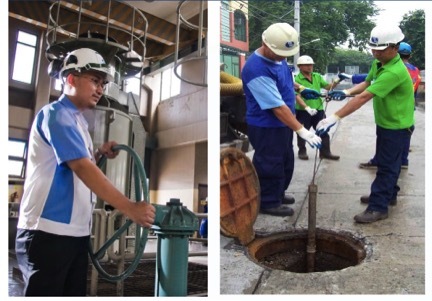 Here are the details on how to avail of Maynilad Septic Tank cleaning at no extra cost. Happy siphoning! 2.) 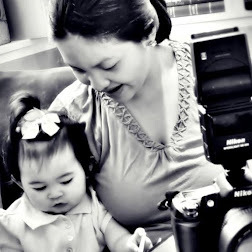 You can avail of the service provided that you have not been served for the past 5-7 years. 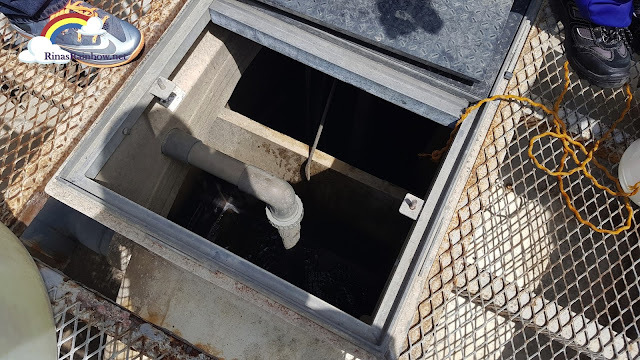 -	Septic tank manhole should have at least 0.5m x 0.5m, or 2x2 feet. So I need to hire someone to open it up first before I schedule the cleaning. 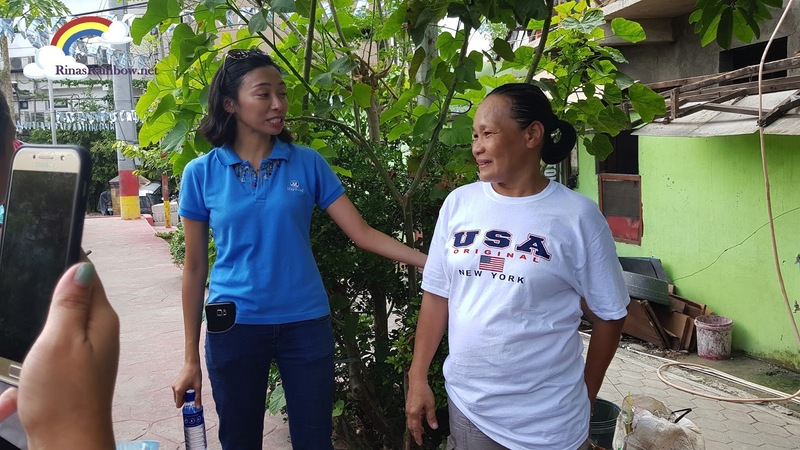 On the scheduled cleaning day, make sure to prepare your latest Maynilad water bill, plus your septic tank should be ready-to-open. The cleaning takes around 15-20 minutes only. Wow! Thank you for sharing! It's a really interesting experience. 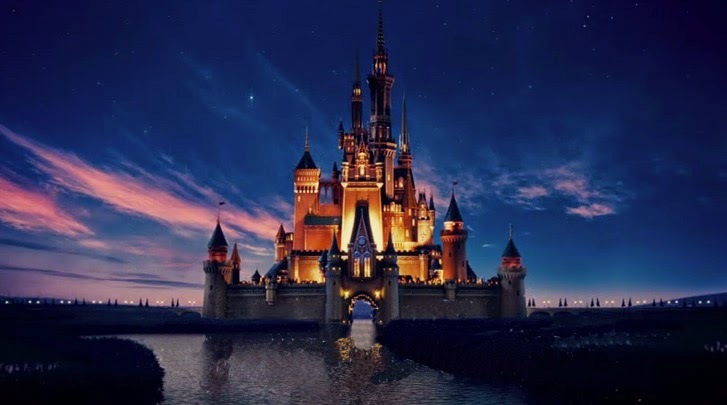 You will need to pay them sooner or later, and you may even need to pay a portion of the cash in advance.! Oh. Now I know where used water go. I think this is also known by malabanan siphoning services laguna for I heard them talking about it when doing the installation.